Air duct cleaning NYC for commercial properties has specific procedures that need to be followed, as well as the right equipment. 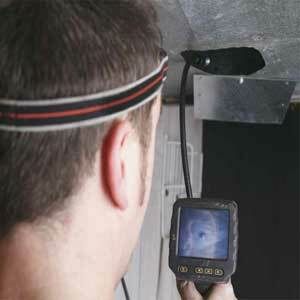 We understand that each company has individual needs when it comes to air duct cleaning and we treat them as such. We will come out to your place of business and provide you with a free estimate for cleaning the air ducts. Your time is precious and schedules are different for everyone. Our professional team understands that it is vital for your company to be able to go about your normal routine without the work day being interrupted in any way. This is why we work around your schedule in order to accommodate your needs and to find a time that is convenient for your company for us to come in and do the job. Our technicians are trained in commercial properties in order to meet the codes that are required. 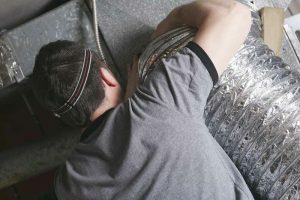 Duct cleaning NYC means that you are looking for your employees to breathe easier and have clean air in their work environment. It is important to our team that we maintain the highest standard of professionalism when it comes to our clients. No matter if you are a large or small business, government agency, developer, or privately owned business, we know and understand that each job requires different and specific cleaning. With a phone call or email, we will be able to answer all of your questions and set up a convenient time to meet and go over the details. Contact us today to schedule your appointment for a technician to come out to your site and go over the details of what you need done. We can even set up a schedule for regular visits to keep the air clean and provide preventative maintenance to keep costs down.